Global cryptocurrency exchange Binance unveils Binance Lite Australia, a new platform to buy crypto to support adoption of cryptocurrency use in Australia. ADELAIDE, SOUTH AUSTRALIA — March 20, 2019—Binance, the leading global cryptocurrency exchange, today announced the launch of Binance Lite Australia, the easiest way to buy Bitcoin with cash in Australia. Binance Lite Australia marks Binance’s first fiat gateway on the blockchain continent, and provides a secure and reliable cash-to-bitcoin brokerage service through a network of 1,300+ supported Newsagents across Australia. 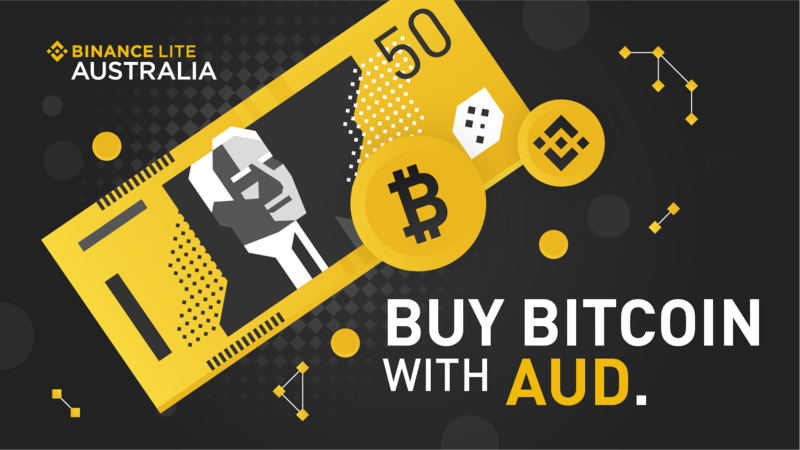 Binance Lite Australia currently offers the option to buy bitcoin in Australia using cash (AUD), with plans to support more digital currencies and fiat purchasing options in the future. By bridging the gap between cash and cryptocurrency, Binance Lite Australia provides a user-friendly platform that further strengthens cryptocurrency adoption in Australia. Upon account verification on www.binancelite.com, Binance Lite Australia users can place an order online and successfully deposit cash at the nearest Newsagent store, to receive crypto within minutes. Binance Lite Australia is simple and easy to use, and its state-of-the-art order processing technology guarantees maximum security. In January of 2019, Binance integrated credit card payments on Binance.com and launched Binance.je, a fiat-to-cryptocurrency exchange with zero deposit fees and one of the lowest-priced exchanges for trading Euros and British Pounds with BTC and ETH. Fiat gateways launched by Binance also include Binance Uganda, an exchange supporting the trading of Ugandan Shillings for cryptocurrency. In 2018, Binance invested USD$2.5 million in TravelbyBit, an Australian Bitcoin travel startup providing global travel booking services via cryptocurrency payments and enabling merchants to accept payments in cryptocurrencies like BTC and BNB. “Australia has been at the forefront of blockchain innovation, and we hope Binance Lite Australia can play a role to help further this cause,” said Zhou.